To enhance your experience at Wyvern our exclusive hotel specials give you everything you need, along with a few thoughtful perks and surprises. Overlooking downtown Punta Gorda and Charlotte Harbor, the roof top restaurant has views to match its cuisine. Savor craft cocktails along with an enticing menu. Featuring stylish upscale décor, local art, carefully selected furnishings and opulent design touches. Chic style merges with service that is intuitive and friendly. Whether you are planning a business meeting, family reunion or wedding reception, the Wyvern Hotel is perfect for intimate gatherings of all types. 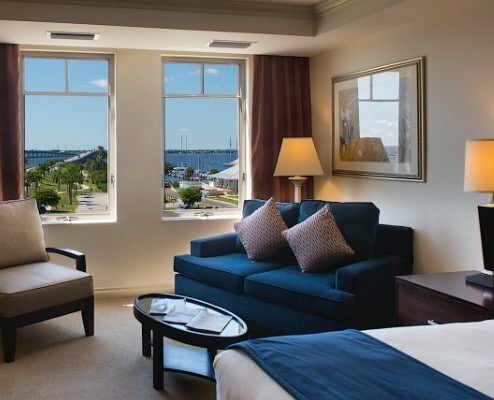 Whether work or play brings you to the charming Florida Gulf Coast town of Punta Gorda, we welcome you to experience the boutique embrace of the independently owned Wyvern Hotel, a Conde Nast Johansens property. Here at our Punta Gorda hotel, chic style merges with service that is discreet yet intuitive and friendly to create a resort atmosphere. 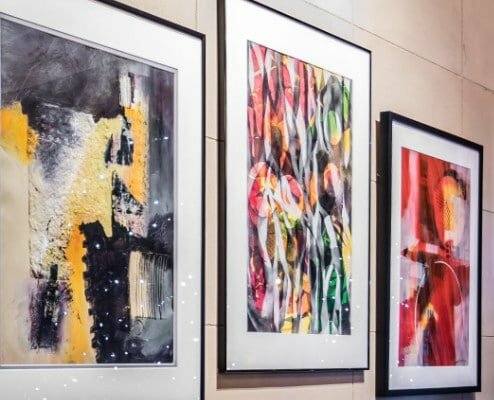 Our downtown Punta Gorda hotel evokes a feeling of graciousness from the moment you arrive in our updated lobby where the walls are filled with artwork from one of our many partners, the Visual Art Center of Punta Gorda. Featuring local artist, all artwork is for sale and tells a story. The property's 63 rooms showcase an upscale décor, carefully selected furnishings and opulent design touches like marble bathroom floors and imported Italian linens. All rooms offer views of the bustling avenues of Punta Gorda or the majestic yachts moored in Charlotte Harbor. Our unique roof deck offers a heated pool overlooking the waters of Charlotte Harbor with poolside service from Perch 360. Perch 360 strives to offer the freshest, highest- quality ingredients sourced from local suppliers including our rooftop herb garden. Savor signature cocktails, local craft beers and boutique wines along with an enticing Tapas menu in a relaxing al fresco ambiance. 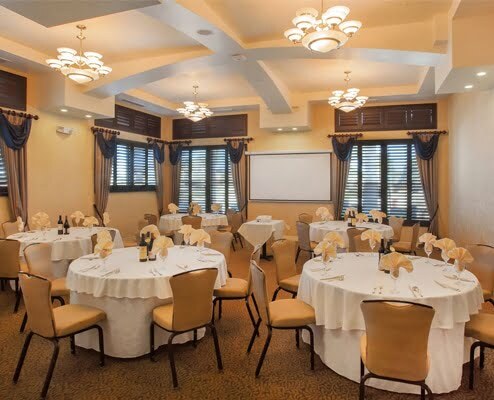 The restaurant will also feature a dining room available for special events private functions. 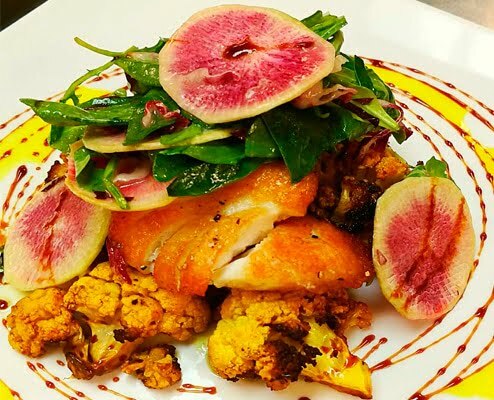 Featured off the lobby is 88 Keys Florida Restaurant, featuring contemporary American Cuisine nestled in the backdrop of local authentic art and an art déco Piano Bar. Open exclusively for dinner, 88 Keys Florida will offer fine dining options from locally sourced farms and a meticulous blend of taste and healthy options. The restaurant will serve craft cocktails and boutique wines as well as a proprietors list of signature high end wines by the bottle. The restaurant will also feature a private dining room available for special events.